Why store locally ? again this year on collection of boxes about 4 hours later the student called In tears having realized there passport and other important papers were packed in 1 of there storage boxes we got the box back within the hour enabling the student to not miss there Flight. 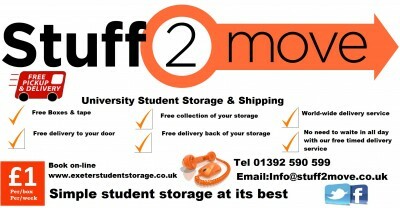 We store locally and do not use couriers for student storage meaning you can stay in contact with the drivers and not having to stay in all day awaiting a driver.